Took advantage of a recent sunny day and went for a walk at Scudder Pond. 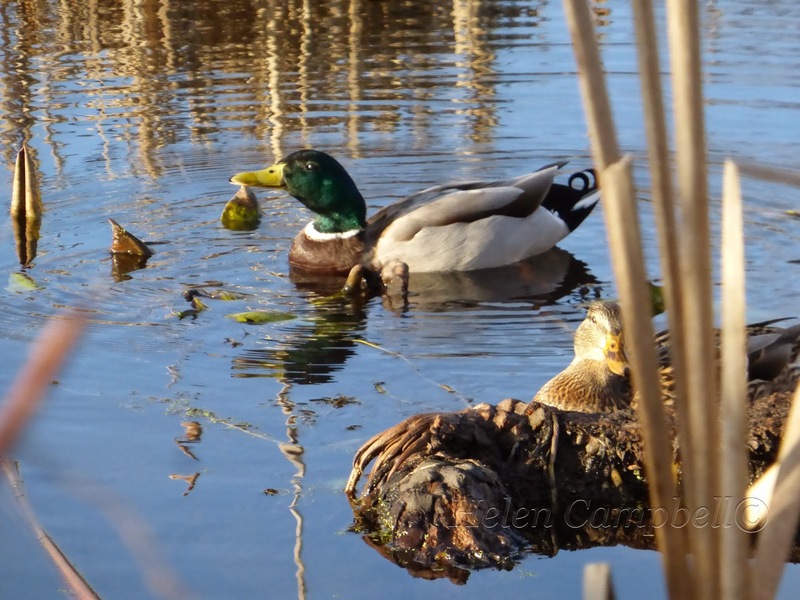 This is a Mallard Duck pair caught with the rippled reflection of the spent cattails on the water. (female is preening in foreground right - she ducked her head just as I shot). 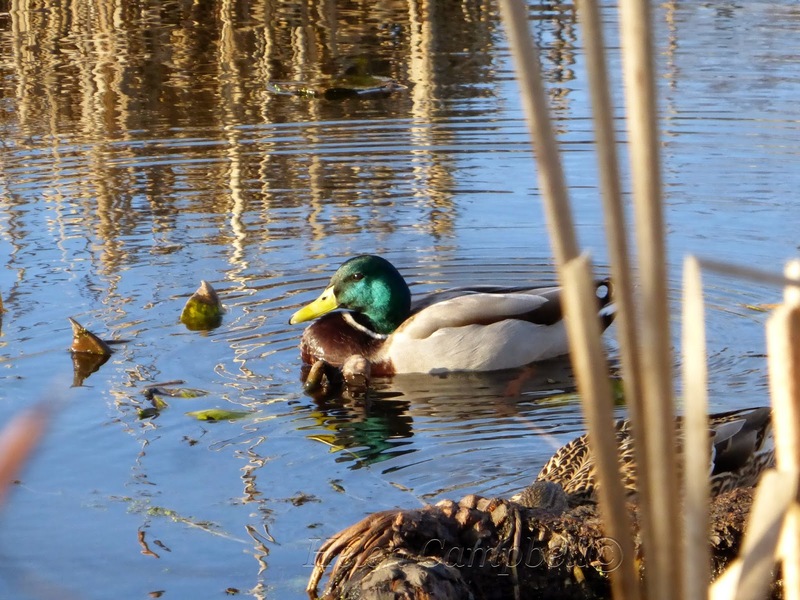 Great photos of the Mallards. Speaking of walks, I need to start walking again. Thanks for the reminder. :) Have a great evening Helen.